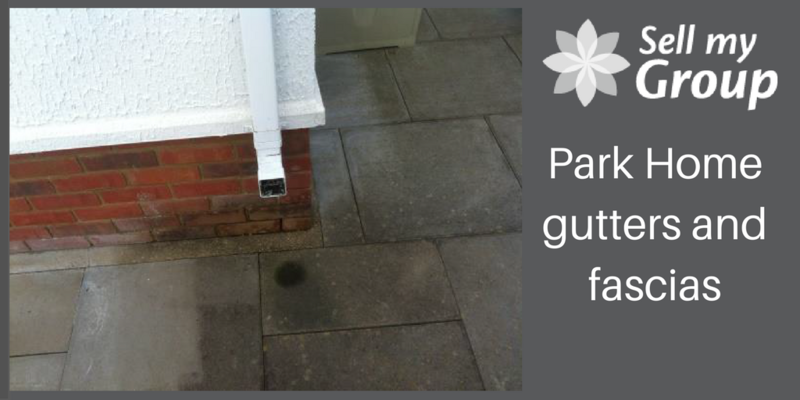 Part of park home maintenance is looking after both the gutters and fascias. Newer park homes usually have a dual pitch roof, with UPVC gutters and down pipes. 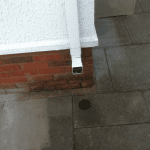 It is usual for park homes and holiday homes to have rainwater down pipes that discharge onto the ground only. 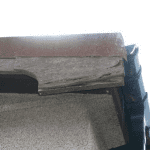 This can cause problems and we recommend that wherever possible the gutters should flow into soakaways. Water to collect and pool on the base, this can lead to damp musty smells forming within the floors of the home internally.The second picture depicts a traditional timber fascia board, these boards are susceptible to damp and rot, this can then spread to other areas of the timber structure. 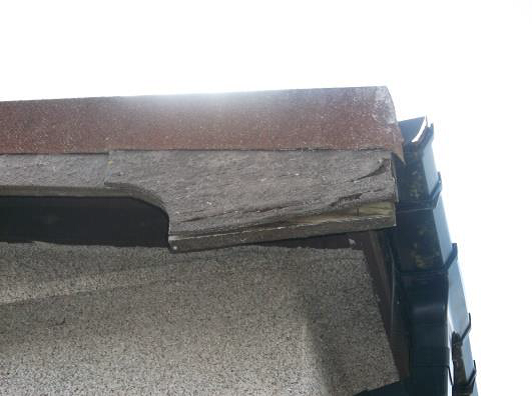 Prevention is always the best way for park home maintenance and preventing of further work. So we recommend installing soakaways to the downpipes and UPVC fascia boards to replace the timber boards. These are maintenance free and will not rot or distort. Another important job for maintaining your park home is to clear the gutters on a regular basis, this will allow water to run-off. Specialist park home surveyors can be found on our park industry services page; follow this link.